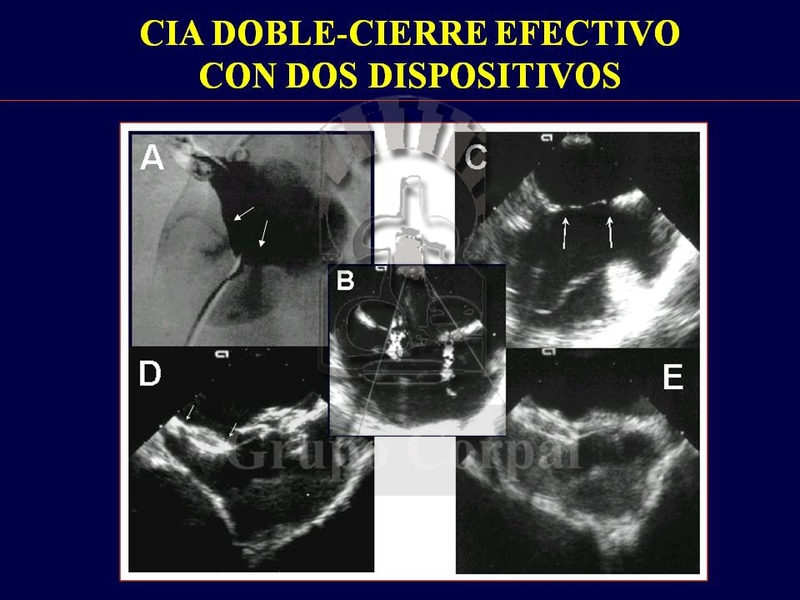 The closure of congenital septal defects has always been a surgical procedure with good results and few complications. Since the 1990s, however, different devices have been designed to be inserted in the circulatory system folded, to occlude and correctly direct the circulation. Because of the defect, at each heartbeat a jet of blood travels from left to right in the atrium, increasing the blood volume reaching the lungs, causing vascular plethora and, in the long term, heart failure, as well as the development of pulmonary hypertension. The procedure avoids surgery and closes the defect through a blood vessel without invading the chest. Our group was a pioneer in Spain and, in 1993, a closure device was successfully implanted for the first time in Cordoba in a child with atrial septal defect. Different devices have been developed for this purpose. We initially used the shunt designed by Sideris, a Greek doctor. It was a privilege to welcome him to Cordoba. Other devices developed included those designed by Gore and Occlutech. But the great revolution was led by Dr Kurt Amplatz, a great radiologist and 20th century genius. Dr Amplatz also visited us in Cordoba for three days. It is a device made from Nitinol (metal that returns to its initial shape after folding) configured in 2 disks separated by a waist that adapts to and obliterates the defect (Figure 1). The procedure takes place under anaesthesia and is guided by radioscopy and transoesophageal ultrasound. The use of all prostheses requires prophylaxis against endocarditis and aseptic procedures. Insertion through a cannula crossing the defect is followed by the deployment of a disk in the left atrium, from where it is pulled to the septum. Once in place, the right disk is released if the position is correct. This may seem simple, but it can be extremely complicated depending on the size of the defect and the cavities concerned and the defect’s spatial distortion (it can be double or multiple, etc.). Nonetheless, most procedures are successful and clearly improve in symptomatic patients. 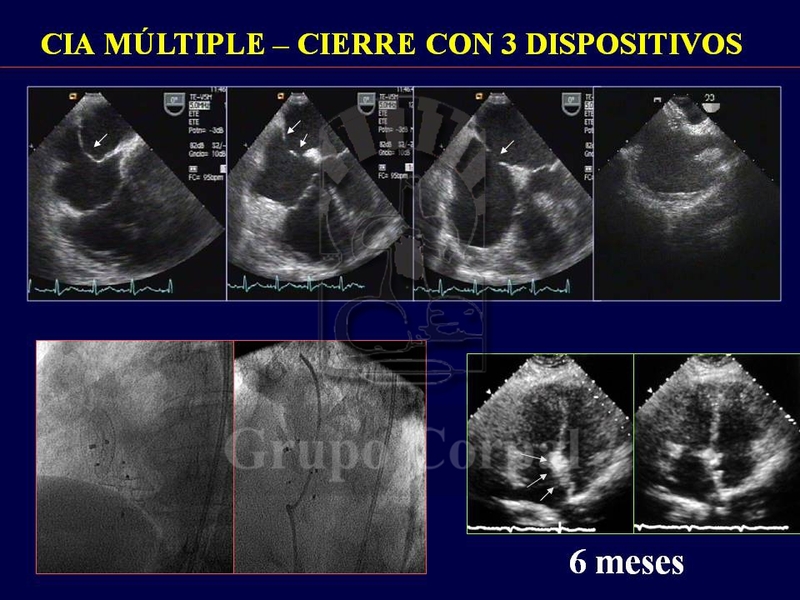 The patient quickly recovers and, in the following month, develops an endocardial film that covers the device and isolated it from the circulation. Anti-thrombotic treatment is required for that month. Our group has made scientific contributions to ASD closure.